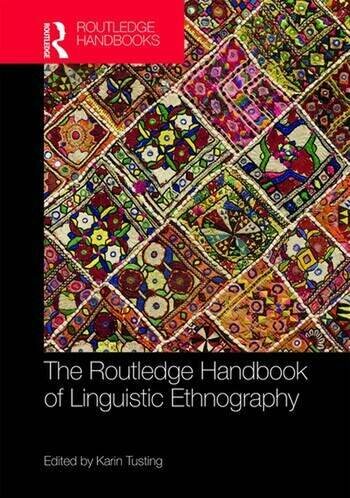 The Routledge Handbook of Linguistic Ethnography provides an accessible, authoritative and comprehensive overview of this growing body of research, combining ethnographic approaches with close attention to language use. This handbook illustrates the richness and potential of linguistic ethnography to provide detailed understandings of situated patterns of language use while connecting these patterns clearly to broader social structures. Including a general introduction to linguistic ethnography and 25 state-of-the art chapters from expert international scholars, the handbook is divided into three sections. Chapters cover historical, empirical, methodological and theoretical contributions to the field and new approaches and developments. This handbook is key reading for those studying linguistic ethnography, qualitative research methods, sociolinguistics and educational linguistics within English Language, Applied Linguistics, Education and Anthropology. Critical debates: How compatible are ethnographic and variationist traditions? Main research methods and analysis: Mutually useful data collection, transcription and analytic categories? Karin Tusting is Senior Lecturer at the Department of Linguistics and English Language, Lancaster University. Her research has in recent years focused on the literacies of the workplace, with a particular interest in issues of audit and accountability. She has recently published Academics Writing: The Dynamics of Knowledge Production (Routledge, with Sharon McCulloch, Ibrar Bhatt, Mary Hamilton and David Barton).